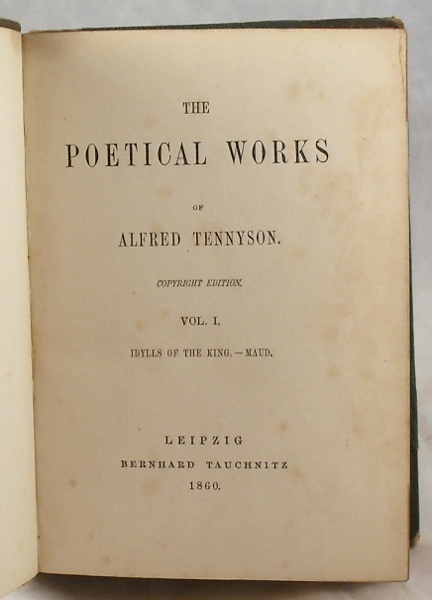 The first six volumes of the Tauchnitz copyright edition of Tennyson's collected works (bound as three[two subsequent volumes were published in 1872]). Including The Idylls of the King, Maud, Ulysses, In Memorandum, Enoch Arden, The Holy Grail and poems. Half leather with marbled endpapers and matching marbling to page edges. 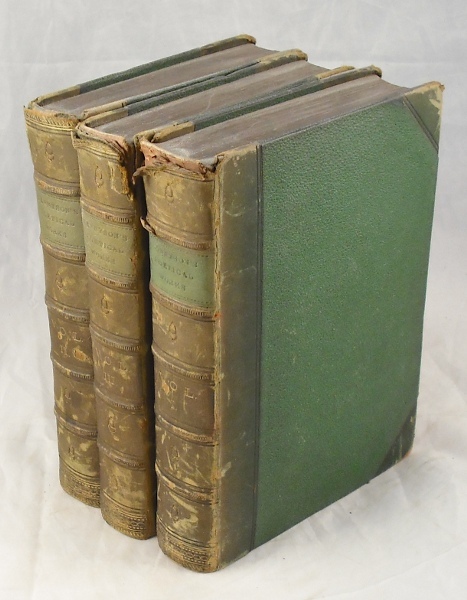 Leather is variously frayed, scruff and rubbed and marbling to page edges is slightly faded. Gilt to spine titling faded. Previous owner's name to ffep. Otherwise contents clean. Bindings nice and tight. Good overall.